DCFDTL. 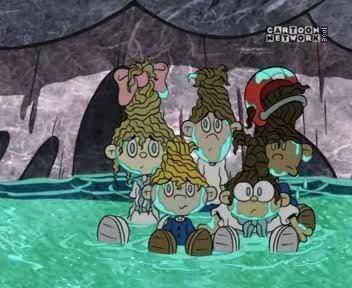 DCFDTL as bebés in OPERATION FOUNTAIN.. Wallpaper and background images in the Codename: Kids siguiente Door club tagged: kids next door dcfdtl. DCFDTL as bebés in OPERATION FOUNTAIN. Awwwwww...they're so cute! I love the look on all their faces. helmet guy ( lenny ) is by far the coolest. Have you seen operation Undercover ? They should've put the DCFDTL in Punch Time Explosion instead of the Toiletnator! I shall sue those people! KIDDING! Or am I? As sir alan suger would say "Your Fired"